Are you tired of your living room? Does your decor say absolutely nothing about you? Do you want a change, but you aren't sure how to go about it? Then this is the right article for you! We have provided you with seven ideas full of inspiration, which you can copy and paste straight into your home! Because we all know that a breath of fresh air never hurt anyone. We need to know what should be changed, how often and how to stay away from a boring, tired look. Change helps us to feel better, bringing positive energy and new life not only into our homes, but for ourselves as well! Our home and especially our living room is where we take refuge after a long day at work, where we come and relax on our sofa, watching movies, eating dinner or reading our books in the evening. But if the room does not have that attractive quality, then we will never quite feel comfortable i it. So let's put quality and good taste back into the living room. We also show you how to achieve the latest trends without breaking the bank. A unique element to showcase in your living room can really make it a special and homely place, giving those who visit your home a touch of your personality. Choose an object that you really like, which you think can be the key element and there you have it—the starting point for the rest of your decor! In this photograph, our inspiration is the fireplace, which sits on a centre table—a two-in-one functional and aesthetically pleasing design. Don't you think it turns this simple living room into a picture worthy of the cover of a decor magazine? If you've ever come home after a long day and relaxed in front of the fireplace in winter, you'll now how enjoyable and cozy it is and how entrancing watching a flame can be. It's unique moments like these that you need to capture to make a room unique. 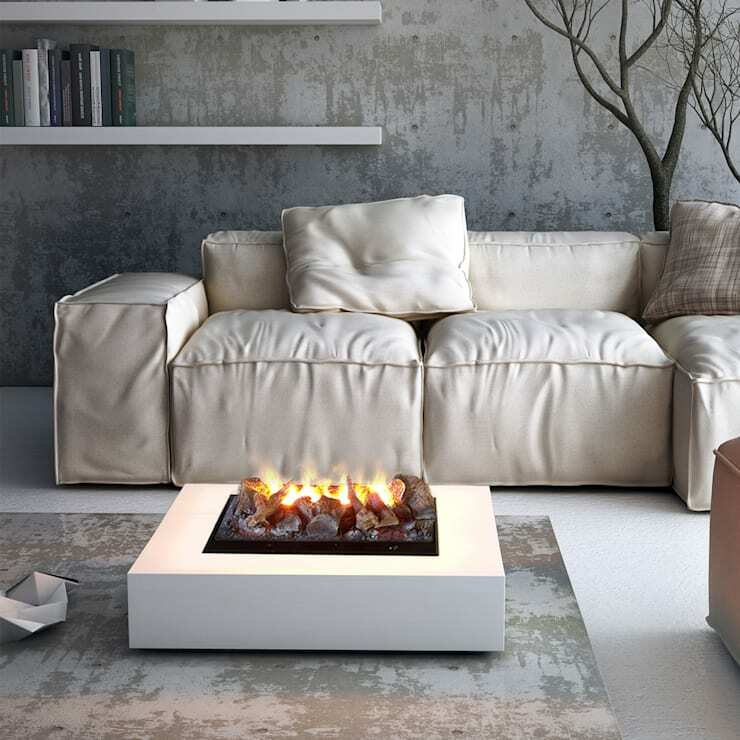 Have a look through this range of homify fireplaces for inspiration. 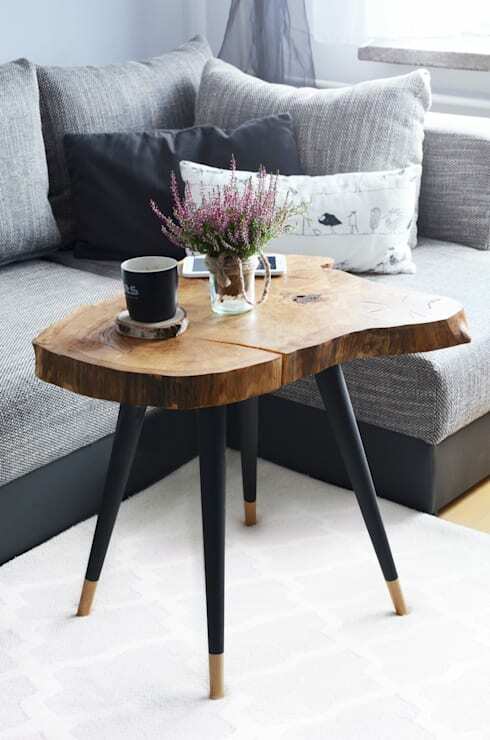 A simple object can change the whole mood of your living room, so invest in this wisely. 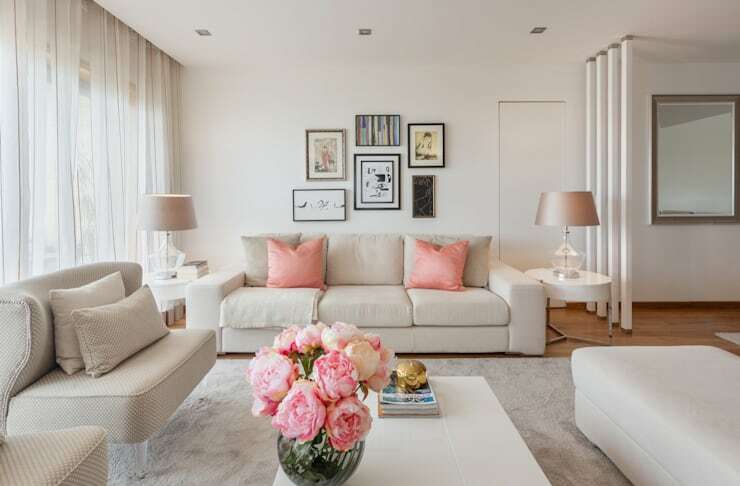 Have a look through homify to get a sense of your style and taste! This room, designed by Brutal Vision, is the last thing from boring! What about a simple, quick and inexpensive solution that will give your home a whole new look? 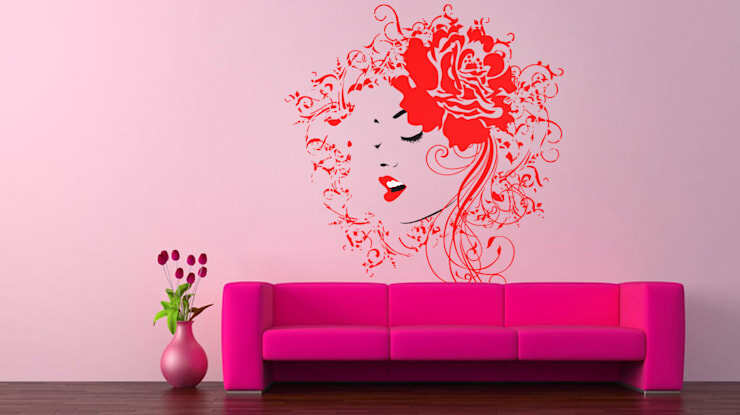 Wallpaper, drawings, wall stickers—all of these provide wonderful solutions to add personal expression to your space! And you can do it quickly over a weekend, or during an afternoon. Behind the couch or on the wall is a fantastic spot, giving it that bit of je ne sais quoi. It's also sure to show off your personal side. And when you get bored of it, it's easy and simple to change! Don't be afraid of change, it just makes our home better and better! Colours bring your living room a fun and cheerful touch—and don't we always want to feel fun and cheerful? Playing with colours is just like a game and it can turn out beautifully! You can combine them through drawings, paintings and other details, creating a warm and glitzy environment. If your living room is feeling a bit sober, heavy and boring, give it a touch of colour—yellow. pink, blue, green or red—bright and attractive colours. There is no need to make a rainbow, but choose an essential colour to give the room a bit of joy that was missing. And when it comes to your home, colours that provoke feelings of good energy, health and vitality will provide you with the tools that you need to overcome the stress of the day-to-day. Bright colours, which we looked at above, can be combined harmoniously with pastels to create an environment that remains lighter and attractive for longer. Choose white to work with your pastel colours, which creates balance in this colour game. The pastels are advantageous because they are subtle and transmit a sense of peace. It is like a primary colour has been mixed with white to make it less vibrant and more understated. Decorating the room in these shades is a wonderful choice, especially if you are seeking a serene environment that still contains a bit of colour. 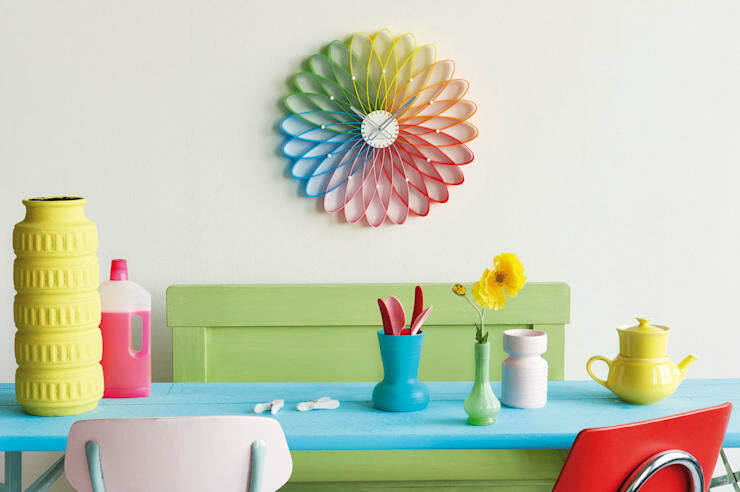 Utilising pastels doesn't mean that your home is taking on a Shabby Chic style or that you have to blow your budget. In fact, if you pair modern furniture with straight lines and contemporary pieces with the light colours, you'll achieve a very simple and sophisticated look that doesn't have to be too expensive to achieve. Green is perhaps the one colour that many turn their noses up at—it is not a commonly chosen colour for decor, but that's because many do not understand its potential! Green does not have to dominate our decor, creating a space that looks like a forest in the Amazon! But, if you combine a green piece of furniture or decor item with the rest of the room, you can create a cheerful and jovial atmosphere that is very in . 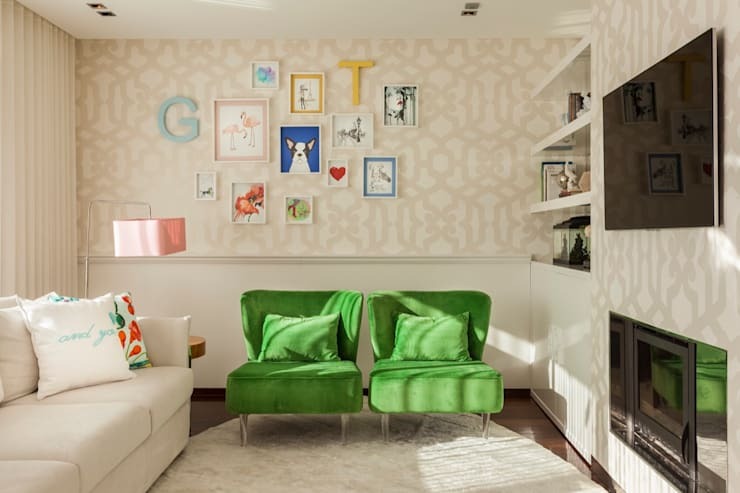 As this Portuguese company, Interdesign, have shown in this photograph, by placing two green armchairs in a pastel-coloured room you can achieve a very creative and trendy space. One of the big trends this year when it comes to room decor is to bring in organic forms, which creates a very soulful and earthy look. Organic shapes represent natural curves and lines found in nature, appearing without someone creating it or modifying it. This is a common style in fine arts and is very vogue in the world of decor—modern and stylish! Tripods are used to prop up a camera but they can also create height and elegance in a living room. 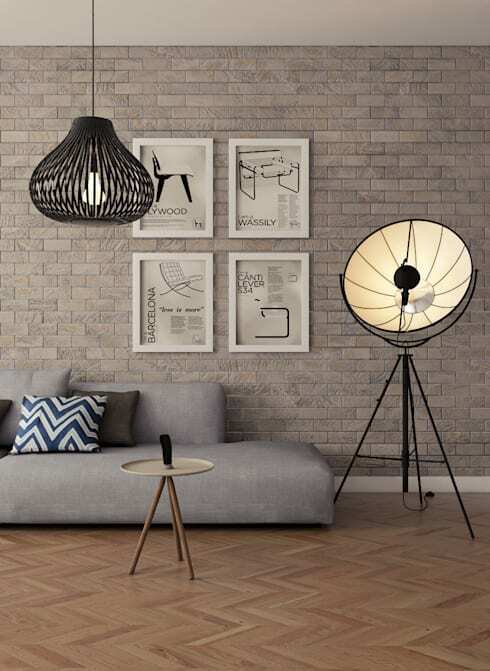 The shape of the tripod is also perfect for the living room and can be used to create new objects and designs, such as this lamp which resembles an object that a photographer uses during a runway model session. This unique and trendy element changes the whole look and feel of the living room. If you liked this article, for tips and tricks on changing how your home looks, you can also have a peek at our article on the: Homify guide to a rustic home.